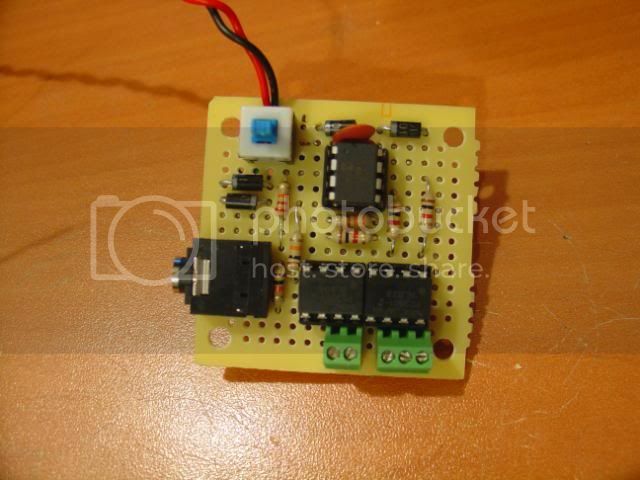 Does anyone have a schematic for a simple control board that they would be willing to share? This one is for a fast hack S40 I did. But if you eliminate the opto on the left it would be good for a 3 wire hack cam. If you have a 4 wire hack cam you need that second opto. Thanks for posting. Is that a header in the bottom left also what optos did you use? Where would I connect the 4th wire for a 4 wire hack? Yes, that is a programming header in the lower left. The optos that I use are these.. If you are doing a fast hack with an s40 or s600, then you need another opto. You can get away with just buying a 1 channel opto for the fast hack wire instead of using the 2 channel likeI did there. Thats just what I had on hand when I built the board. Sorry for all the questions. Is that PIR a module that you bought from somewhere? Yes it is. There are a few different ones that I have used. 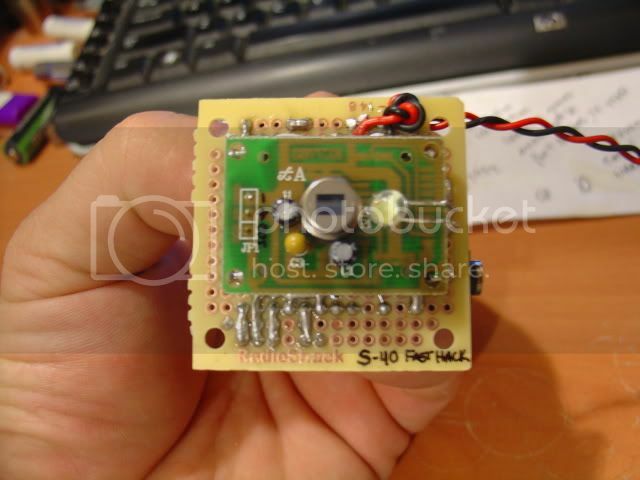 That one there is a radio shack pir board. 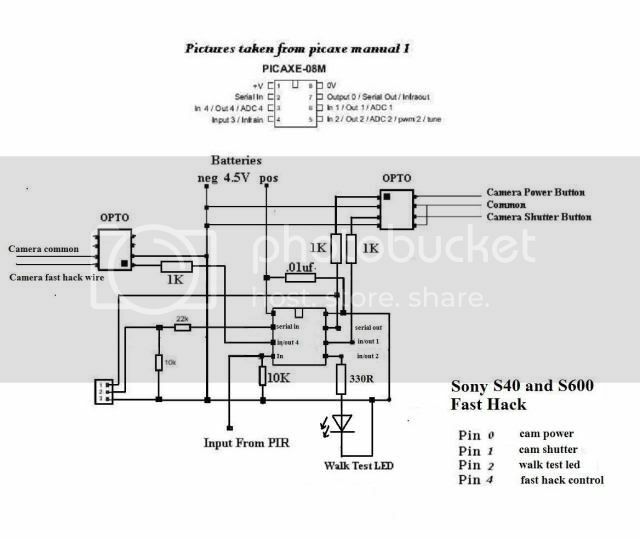 You see on the drawing there is an "input from pir" there. Also on the pir I marked it - , + , and out. The out is what goes to the input on picaxe.